Members of Congress are back home for a scheduled two-week home district work period through the first full week of April. If you're interested in meeting with your Congressional representatives about childhood cancer issues - or anything else - these district work periods are ideal times to find your Senators and Representative somewhere near you! If you'd like to meet with your Member of Congress while they're home next week to share your childhood cancer story, here's a good place to start: CCCA's Guide to Congressional District Office Visits. You may also want to check Town Hall Project to see if there is a town hall taking place near you (there are many being scheduled for April 7th). Read on for some tips on how to make an impact at a town hall near you -- and which issues to ask about if you get the chance! If you find out there's a town hall happening in your area, get commitments from your friends and family to join you. There is power in numbers! Prepare several questions ahead of time: Your questions should be sharp and fact-based, ideally including information on the legislator's records, votes they've taken or statements they've made. Get there early, meet up with your group, and get organized: Huddle up for a few minutes in the parking lot and coordinate your approach. Get seated -- and spread out: Head to the venue a bit early to grab seats at the front half of the room but don't all sit together. Spreading throughout the room will reinforce the idea that there's consensus around your issue. Make an impact by asking good questions: When the legislator opens the floor for questions, everyone in the group should raise their hands. Look friendly so that staffers will call on you. - Introduce yourself and identify your role within the community (for example, a middle school teacher and the aunt of a child with cancer). - Thank them, if appropriate, for their past support of childhood cancer issues. Since over 80% of the House is a cosponsor of the STAR Act, there's a good chance this is something you can thank your representative for supporting. Look at the current cosponsor list to make sure! - Relate some statistics about childhood cancer, like how many children in your community and/or state are affected. - Discuss issues that concern childhood cancer patients and parents: Research funding is a good area to discuss right now. NCI just received a big boost for the remainder of FY2018 and we want to ensure that momentum continues with strong funding again in FY2019. Here are a few recent letters send to appropriations leadership that will help you familiarize yourself with this issue: Congressional Childhood Cancer Caucus, Alliance for Childhood Cancer, and One Voice Against Cancer. - Briefly share your personal story about childhood cancer. - Tell them about childhood cancer events and extend invitations to attend. Record the event: Make sure someone in your group is in charge of recording the Q&A with their smartphone to share on social media. These are the types of videos that sometimes garner national attention! Seek out local media covering the event and offer to be a source for commentary or reaction. 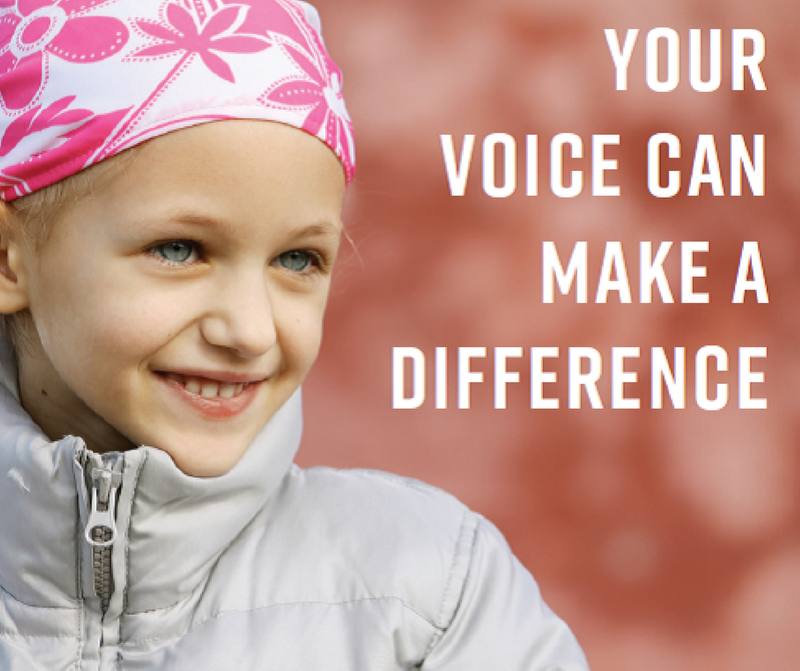 Offer to make yourself and other advocates available to legislators and staff if they have questions about childhood cancer or other health-related matters. You can always direct legislators and staff to the Children's Cause if they have follow-up questions or need more detailed information on an issue.